So honored to share our story of how Toko-Toko became an Ethical and Sustainable company and the challenges we faced in the beginning. 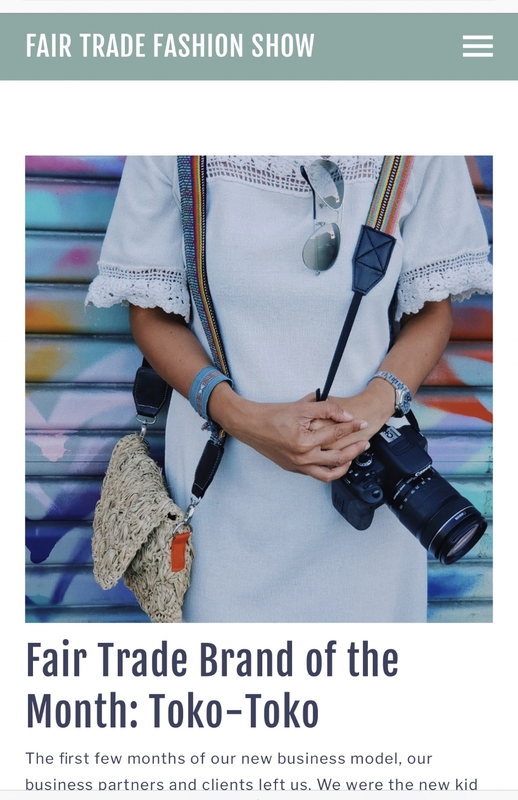 We are featured by Fair Trade Fashion Show as Brand of the month, and honestly I can’t even believe how far we’ve come as the newest kid in the block! The long is still far, we have a lot of work coming ahead but stoked to be in this journey with you all. This short film really touches our hearts. Thank you Inspire team and Pacific Union Conference SDA for capturing our work and family so well. This is the most beautiful thing we've ever seen. Click the link below to watch the coverage, you'll see footage of our work in Jogjakarta, the artisans and everyone who helped us along the way. We are truly so grateful! Thank you Bead and Reel, BeetxBeet, Vegan Club Co and Vegetaryn for hosting and including us in this amazing all Vegan fashion show at the Roxy. If you missed it, here's a short video from Live Kindly of the evening. Til next time! To read full blog and list of brands showing please click here. Look forward to seeing you there! 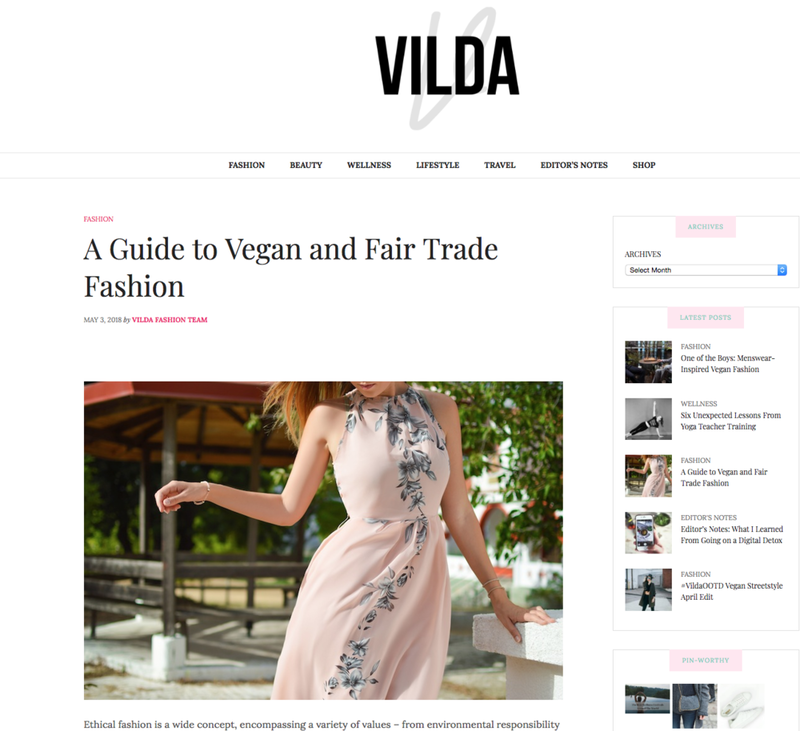 Super excited to be listed as a part of Vilda's magazine Guide to Vegan and Fair Trade Fashion. Click here to read the list of brands they recommend! Thank you Vilda Magazine! We love collaborations, especially when it gives us a chance to introduce our Indonesian culture and how it affects our fashion sense. Back in the Summer we (Lolo from Toko-Toko and Agung Wimbo from Made by Pola) collaborated with Chinatown and the Indonesian Trade Promotion Center (ITPC-LA) to do a few hours of DIY Batik Tote during Moon Fest in Chinatown. The class sold out and it was so much fun to meet people in our community. We hope to do this again soon, we are absolutely open to teach small group privately. Send us an email or DM on our Instagram. In the meantime, thank you ITPC-LA for this article of the event! To read the article please click here. Til next time! Featured in Fair Trade Fashion Show Blog! So stoked that our Jane Birkin round tote got featured by the Fair Trade Fashion Show blog in its Fair Trade Gift Guide. Check out the list of the chic items for this season's holiday gifts! Psst ladies, all of brands are female owned! It was such an honor to be featured by Nick Duska at his Podcast program 'Right After Breakfast'. Lolo talked about finding her mission in life and what does it mean to be a Javanese. We love collaborations, and it was fun to collaborate with our fellow Asian American creatives. Thank you Agnes Muljadi, Indah, Aldo from Coffeehall, Jei & Gaile of Wanderlust Creatives. Stay tuned, we have more collaborations coming up you don't want to miss out! "What was the point of your life when you finally found your self confidence and what does it mean for you?" Lolo chatted with Sheena Yap Chan from The Tao of Self Confidence podcast. Click link below to listen, Lolo got personal when she spoke about bullying that happened to her daughter and the healing process involved during and after the event. We recently chatted with our friends Yogi & Rere from VOA Indonesia. Thank you so much guys for flying in from Washington DC to be with us and learn more about our work in representing and introducing Sustainable & Fair Trade fashion brands from Indonesia in the US!